Since February is the time for cupids and hearts and all things romantic and sometimes not-so-romantic, what better time than to write a letter to your lover? On February 1, 2008, Rachel Greene Baldino and Judy Ford, authors of the book, The Complete Idiot's Guide to Enhancing Sexual Desire, are embarking on a virtual book tour around the world collecting letters from bloggers who would like to tell their lovers how they really feel about them - the good and the bad - and become a part of their tour! 1. Think of the things you would like to say to your lover, but haven't had the time or the reason, whether it's to say how much you love them or how they drive you up the wall. Yes, the good and the bad and the funnier or more outrageous the better! Let everything hang out! 2. Do not use names. Name your blog post "Letter to My Lover" and begin your post with "Dear Lover" They'll have to guess who it's for! 3. Post your message on your blog between now and February 14th and send us the exact link to thewriterslife(at)yahoo.com. Please put "Letter to my Lover" in your subject line. 4. When we receive your link, we will add it to Rachel and Judy's tour at http://virtualbooktoursforauthors.blogspot.com/2008/01/complete-idiots-guide-to-enhancing.html. 5. But, that's not all! Rachel and Judy will pick one of the bloggers who participate a FREE copy of The Complete Idiot's Guide to Enhancing Sexual Desire! That's their Valentine's Day present to you! 6. And not only that, we will promote your blog through our daily promotions using your blog post as part of their virtual book tour, thus bringing you lots of traffic during February! 7. We also ask that you include a jpeg copy of Rachel and Judy's book, The Complete Idiot's Guide to Enhancing Sexual Desire, in your blog post. You can find their book cover at http://virtualbooktoursforauthors.blogspot.com/2008/01/complete-idiots-guide-to-enhancing.html (you are welcome to copy and paste from there). 8. All participants will be listed on Rachel and Judy's tour page so that everyone can read YOUR letters to your lover! That's all there is to it! Hurry before time runs out. Become involved in a nationwide campaign to tell the world what you think about your lover and see how much fun it will be to read the letters of others. 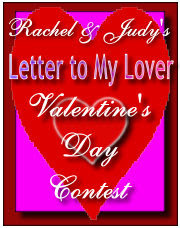 Share your letters and become involved in RACHEL AND JUDY'S "LETTER TO MY LOVER" VALENTINE'S DAY CONTEST! Rachel and Judy's virtual book tour will be highly publicized including press releases and other promotions and is brought to you by Pump Up Your Book Promotion, an innovative public relations agency specializing in online book promotion. You can visit their website at http://www.pumpupyourbookpromotion.com/. Powerful, thought-provoking, and filled with the love of the game, St. John of the Midfield by Garasamo Maccagnone is a literary fiction lover's dream. Told entirely as a flashback, Mario Santini begins by retelling the story of the night Bulgarian soccer great Georgi "Bobo" Stoikov shared with him how he and his brother Jordan, jumped from a speeding train to escape from Communist Bulgaria in the hopes of living the American Dream. All is lost when Jordan and Bobo are injured during the escape, but Bobo satisfies his love of the game by teaching youth soccer to travel teams. When Mario's son Luca joins Bobo's team, it sets in motion an intense one-sided rivalry between Bobo and a man from his past, which ultimately leads to Bobo's death. As a parent to a son who played youth sports, I can attest to the realism found within the pages of St. John of the Midfield--when the desire to win is so strong, that people do unspeakable things all in the name of victory. Opening the story with Bobo telling the story of his defection to Mario is pure genius, as it immediately draws the reader in and makes Bobo a sympathetic character. And the challenges Mario deals with as he tries to be a good man despite the ties to his Sicilian crime family, speak eloquently to the struggles all people deal with as they move through life. While a little heavy on the similies for my taste, this is an excellent read. 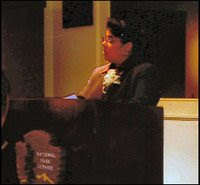 Anita Hackley-Lambert is the former President/CEO of a fifteen-year-old information technology and engineering services firm and current founder of Hackley-Lambert Enterprises, Inc., an emerging portfolio of business opportunities, including HLE Publishing from which she has launced her new writing career. Anita has envisioned a career in writing ever since the age of twelve, when she wrote her first unpublished book, NO WHERE TO RUN, a compelling story of sexual assaults she suffered beginning at age five. She was inspired to write the life story of F.H.M. Murray, because of a promise she made to her mother to acknowledge and honor Murray's legacy. With publication of this book, the author hopes to spark the interest of historians, educators, scholars, educational institutions, black history collectors, genealogists, students, and family members of this outstanding historical figure. Her greatest desire is that each reader will come to know the essence of the man, F.H.M. Murray. During my research on my great grandfather, I uncovered many treasures. For example, I located F.H.M. Murray’s personal first copy of the only book he authored, designed, hand bound, and printed from his own Murray Brothers Printing press and I discovered his personal journals, plus so much more. My favorite discovery was when I first open one of his journals. To best describe this, here is a brief excerpt from the Introduction… A Mother’s Secret: A Daughters Revelation. “When I first set eyes on his journals, they looked like the same ones he had retrieved from his desk on my last visit with him – my emotions flooded in an unexplainable way. At first, I could not open them. I sat there in the room with my eyes shut and held them close. When I opened my eyes and opened the first journal, dust from the century-old pages leaped into my nostrils and lodged in my throat. I struggled to breath. I coughed uncontrollably. While coughing, the room turned creepy and cold – my body took on an eerie feeling. When the dust settled, my coughing stopped. I felt as if I were not alone. As I looked down at the pages, I felt Grandpa’s presence right there – inside me! It was as if he was looking out through my eyes reading words he had written many years before – really! The strange feeling passed from my eyes, to my chest, to my heart, to my hands. This was the most amazing revelation of my entire life. I shall never forget the experience. I remember it like it was yesterday. F.H.M. MURRAY: FIRST BIOGRAPHY OF A FORGOTTEN PIONEER FOR CIVIL JUSTICE VIRTUAL BOOK TOUR '08 will officially begin on Jan. 2, 2008 and continue all month. If you would like to follow Anita's tour, visit http://www.virtualbooktours.wordpress.com/. ATTENTION!!! Buy one of Anita's books at AMAZON, send US an online copy of the receipt before January 31 and she will send you a personalized thank you letter, PLUS other incentives including free ebooks from Pump Up Your Book Promotion! Click on http://www.pumpupyourbookpromotion.com/authorsontour.html to find out what other incentives you can receive! I've Always Been a Yankees Fan: Hillary Clinton in Her Own Words by Tom Kuiper is the biggest collection of Hillary quotes ever, put into witty, sometimes illustrated, and often hilarious context. "The most surprising thing I found out about Hillary is her long tactic of attacking her perceived enemies whenever something bad happens to her, or both she and Bill Clinton. We all remember how she went on the offensive during the Monica Lewinsky scandal, blaming Bill's troubles on a 'vast, right-wing conspiracy.' She'd been doing that for a long time. Back in 1988, Bill gave a disastrous 'introduction' speech for Michael Dukakis at that years' Democratic convention. Bill's speech went on and on for over 35 minutes, and it was widely panned by everyone who saw it. Hillary blamed it all on her perceived enemies, namely the Dukakis people. She told a friend, "they set Bill up," meaning Dukakis and his advisors wanted Bill to look bad. Same thing happened in 1996, when President Bill Clinton was heckled during a speech by some far-left people who objected to him signing the welfare reform bill. Hillary actually thought they were Republican spies. She told an advisor she wanted a background check done on all people who were going to attend the upcoming Democratic convention, to make sure there would be no Republican 'spies' there. There are many more examples in "Yankees Fan" of Hillary blaming her political enemies whenever things go against the Clintons." I'VE ALWAYS BEEN A YANKEES FAN VIRTUAL BOOK TOUR '08 will officially begin on Jan 2, 2008 and continues all month.If you would like to follow Tom's tour, visit http://www.virtualbooktours.wordpress.com/. ATTENTION!!! Buy one of Tom's books at AMAZON, send US an online copy of the receipt before January 31st and he will send you a personalized thank you letter, PLUS other incentives including free ebooks from Pump Up Your Book Promotion! Go to http://www.pumpupyourbookpromotion.com/authorsontour.html to see what else you could receive! Intense, graphic, and action-packed, CULLOTTA by Dennis N. Griffin is a must read for all fans of true crime. 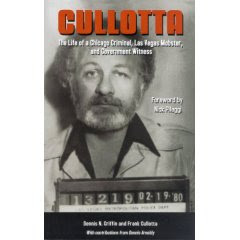 In this no-holds barred biography of Chicago criminal and Las Vegas Mobster Frank Cullotta, Dennis Griffin delivers a powerful and detailed account of Cullotta's life. From his early days when he meets the man who would become known as Tony the Ant Spilotro, through his many years as a Chicago criminal and Las Vegas Mobster, and the events that led to Cullota's decision to become a government witness, CULLOTTA brings the reader into the inner core of The Outfit and the life of organized crime through the eyes of a man whose life was connected to and revolved around many of the important Outfit players. CULLOTTA is a first for me because I've never read any true crime books, nevermind a comprehensive biography of someone with ties to organized crime. I approached CULLOTTA with a fair amount of trepidation. Could I enjoy a book I assumed would discuss in detail the activities of mobsters and career criminals? I couldn't even sit through one of the Godfather movies. But after reading the foreword by screenwriter Nicholas Pileggi, who consulted with Frank Cullotta for the Martin Scorsese film, Casino, I had to know more about a man who could talk about murdering Jerry Lisner with about as much emotion as he would have if he were ordering his meal from a fast food joint. The amount of research Dennis Griffin did for this biography and all the interviews he performed, in addition to, Frank Cullotta's contributions to the project made CULLOTTA the excellent book it is. I'm ready to go out and purchase Griffin's other books on crime and law enforcement in Las Vegas so I can know more about the other players involved. CULLOTTA delivers a chilling and exciting glimpse into the life of Frank Cullotta. And despite all of the crimes that Frank committed over the years, the reader finds herself rooting for Frank's life on the straight and narrow to succeed. My latest book review is posted at The Book Connection. Go to http://thebookconnectionccm.blogspot.com/2008/01/dancer-returns-by-susan-lee-titus-book.html to read all about Susan Lee-Titus' memoir about moving from victim to victory after she was raped by two men while her helpless friends watched. I highly recommend this title, so why not pop in at The Book Connection to see what it's all about. Gripping, powerful, and inspiring The Dancer Returns: From Victim to Victory by Susan Lee-Titus is a story of survival and moving on that you'll never forget. Titus brings the reader along on her journey through Post Tramatic Stress Disorder (PTSD), sharing the full gamut of emotions she went through as a result of the terrfying night when she was raped at a dance studio by two men while her helpless friends watched. 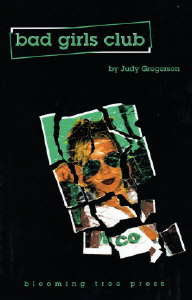 The reader is then able to follow Titus' road to recovery as she realizes the key lies in her ability to forgive the men who turned her life into a living nightmare and moves on to create The Joy Dancers, an outreach program for teaching incarcerated women how to release their anger through aerobic dance. This is an amazingly powerful book. At points in my reading I was moved to tears; but this truly isn't a sad story because Titus not only survived, she worked through painful emotions and nightmares to come out on top again. With a renewed sense of faith and forgiveness, Titus stopped being a victim and became a woman who reached out to other women in desperate situations. Exquisitely written, moving beyond words, and full of hope for the future, The Dancer Returns reminds us all of the success story inside us. If you read only one book this year, make that book The Dancer Returns by Susan Lee-Titus! What would you do if your spouse had stolen a large sum of money from his clients and the clients found out? How far would you go to protect your family? 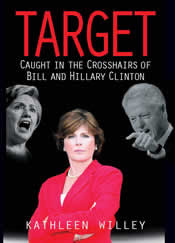 In Kathleen Willey's new book TARGET: Caught in the Crosshairs of Bill and Hillary Clinton, Willey talks all about how she went from being a politically active Democrat and soccer mom to asking President Clinton for a paying job, and how that led to her assault in the Oval Office. She also discusses how Hillary Clinton enables her husband's behavior. Having maintained her silence for many years, Willey says she must come forward, "to remind America, especially American women, what Hillary and her husband will do...They have wielded an ugly power over me and over many other women and witnesses. They will do it again and, worst of all, they will do it in the name of feminism!" Willey believes that America is ready to elect a woman president and that many women will vote for Hillary Rodham Clinton solely because she is a woman. And this, she says, is why she believes it is time to tell her story. "After I was forced to tell my story in the Paula Jones sexual harassment lawsuit, my life was forever changed. I had never intended to go public about what Bill Clinton did to me. It was a no win situation. Even though, I and my children were threatened, and I was subjected to a brutal smear campaign, I decided that telling my story under oath insured my safety. I could not have lied under oath, no matter what they tried to do to me." January has been a month of great authors here at The Book Connection. And today is no exception. 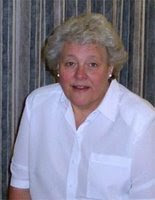 Joining us is historical romance author Hazel Statham. She is touring with Pump Up Your Book Promotion for the second time and we'll be talking about her latest release, My Dearest Friend. Welcome to The Book Connection, Hazel. It's great to have you with us. Before we begin talking about My Dearest Friend, can you tell us a bit about yourself? How long have you been writing? What is the first story you can remember putting down on paper? Are you a full-time novelist? What do you like to do in your spare time? I have written on and off since I was fifteen and wrote my first novel, 'Goldacre' at sixteen. I wrote three books in two years but, sadly, they disappeared when we moved house. I wish I had them now so that I could compare them to what I currently write. Now that I am 'officially' retired, I can write as and when the mood takes me, go I guess you can call me a full-time novelist. I live in the UK and when I am not writing, I love spending time with my family, especially my six-year-old grandson who is a pure delight. In quieter moments I like to read and it is a family joke that you can leave me anywhere as long as I have a book. Have you always written historical romance? What draws you to this genre? I have always been fascinated by history, especially the romance and elegance of the Regency and Georgian eras, and it is this that encourages me to attempt to recreate them in my work. What is the greatest challenge of writing an historical novel? If I am stating fact, I try to ensure that I get it right. I believe that you should make the story fit the fact, not the fact fit the story. Let's move on to My Dearest Friend. Tell us about this story. Much against Jane’s wishes, he decides to accompany her and together they embark on the hazardous mission to retrieve the young soldier. However, the journey holds many revelations, not least of all the abiding friendship and growing love between the two travellers. Can their friendship and love conquer the emotions that threaten to tear them under? My Dearest Friend is set in London in the early 1800's. What about this setting appeals to you? It is the time of the Peninsular War which has always been of great interest to me and the war is integral to the plot. It is the war that is responsible for Stefan's death and Harry's injuries and the reason why Jane and Robert undertake their journey into Portugal. In the first chapter, we meet Robert Blake, Duke of Lear. He is playing cards with a young man and is beating the pants off of him. Why did you choose to start the story off this way? Ah, although the reader doesn't yet know it, this is a very important part of the story. To say more would give the plot away. In the first chapter we also meet Jane Chandler. What can you tell us about her? Jane is desperate to retrieve her wounded brother from Portugal. She is so determined to set out on the journey that, in an effort to reach him before it’s too late, she is prepared to embark on the mission alone. This selfless decision makes Robert aware of her caring and devoted nature and leaves a lasting impression on him. When the two meet, Robert has been in mourning the loss of his brother who died in the war. How does this impact his relationship with Jane? At first, he believes his decision to accompany Jane on her hazardous mission is merely his desire to prevent another youth from suffering the same fate as his brother and doesn't recognise his attraction to her. It's only later that he realises his twofold desire. Robert and Jane embark upon a journey together and their feelings for each other deepen. Why will readers care what happens to them? Why will they want Robert and Jane to be together? In Jane, Robert finds his soul mate, a woman who succeeds where so many have failed in capturing his heart. She encourages him to unburden his grief and offers understanding and, for the fist time since his brother's death, he is able to respond. In her, he sees his redemption and his love. For Jane, he is her protector and rock, a man of strength and courage who shows unparalleled kindness. They are a perfect foil for each other and deserve a blissful future but when treachery comes into their lives and secrets cannot be told, that future is far less than certain. Please tell us where readers can purchase a copy of My Dearest Friend. Currently it is available as both an e-book and in print from http://www.wings-press.com/Bookstore/My Dearest Friend.htm but will also be available from Amazon.com and Fictionwise.com later in the month. 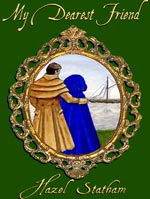 I have another Regency, ‘His Shadowed Heart’, due for release with Wings ePress on June 1st, 2008 and a further two, ‘Consequence’ and ‘Lizzie’s Rake’ with Highland Press in 2008 (I do not have the exact dates as yet). Thank you for spending some time with us today Hazel. I wish you continued success. Thank you so much, it has been a pleasure talking to you. Journalist turned full-time novelist, Jim Melvin visited The Book Connection in December. Today, we are featuring the first three books in Jim's epic fantasy series The Death Wizard Chronicles, which some say will be a huge hit with adult fans of Harry Potter and Eragon. You'll find a synopsis of all three books and Jim shares some of his reflections on writing each of these novels. The Death Wizard Chronicles, a six-book epic fantasy, is approximately 700,000 words in length. I am confident my main character will become a classic hero in fantasy literature. In a groundbreaking paradox, the Death Wizard, a champion of good, derives his power from a source traditionally seen as negative — death. His nemesis, an evil sorcerer, derives his power from the sun, the benevolent source of all life. Their struggle to control the fate of the planet Triken unfolds in epic fashion throughout the series. In a truly original twist never before seen in this genre, the Death Wizard is able to enter the realm of death during a temporary “suicide.” Through intense concentration, he stops his heartbeat briefly and feeds on death energy, which provides him with a dazzling array of magical powers. The series also is a love triangle involving two desperate characters attempting to come together despite the machinations of an all-powerful psychopath with incestuous cravings. Graphic and action-packed, spanning a millennium of turmoil, The Death Wizard Chronicles carries readers on a breathtaking journey they will never forget. In Book III (Eve of War), Torg and Laylah are hounded at every turn by Invictus’ evil minions. They flee from one danger to the next in a frantic attempt to reach the safety of Jivita. Along the way, they encounter unexpected enemies and friends … and even receive help from an unlikely source: Vedana, the mother of all demons, whose diabolical schemes include keeping the wizard and sorceress alive. At least for now. Each breath has a beginning, middle, and end. The inhale has a beginning, middle, and end. The pause in between has a beginning, middle, and end. The exhale has a beginning, middle, and end. The breath is a microcosm of all existence. If you watch closely enough, you will see for yourself. Use breath as the focus. But do not force it out of its natural rhythm. Simply become aware of it. When the mind wanders, draw it back — gently, but persistently. Release your distraction and return the attention to the breath. Know that you are breathing in. Know that you are breathing out. Breathe in and become peaceful. Breathe out and become peaceful. Breathe in and become aware of the body. Breathe out and become aware of the body. Breathe in and feel joy. Breathe out and feel joy. Breathe in and become aware of the mind. Breathe out and become aware of the mind. Breathe in and control the mind. Breathe out and control the mind. Breathe in and concentrate the mind. Breathe out and concentrate the mind. Breathe in and slow the thought. Breathe out and slow the thought. Breathe in and quicken the awareness. Breathe out and quicken the awareness. Breathe in and slow the breath. Breathe out and slow the breath. Breathe in and slow the heartbeat. Breathe out and slow the heartbeat. With one final surge of mindful concentration Torg willed his heart to stop beating. When Sammaasamaadhi arrived, his temporary suicide began. What the wizard experienced next occurs to all that ever live — from the simplest bacterium to the most complex animal. And that is what made Torg so special. Only a Death-Knower can die. Only a Death-Knower can return from death. Only a Death-Knower can tell us what he has seen. Not all care to listen. The Death Wizard Chronicles is literally a dream come true for me. I began envisioning the opening scenes from The Pit while still in college in the late 1970s. And for the next 25 years, I imagined the trials and tribulations of a wizard who could die and return. But my job as an editor/reporter/supervisor at the St. Petersburg Times seemed to consume most if not all of my creative energy, and I never seemed able to sit down with any consistency and put the words on paper. Four years ago, I was lucky enough to be able to semi-retire while still in my 40s, and in September 2004 I wrote the first page of The Pit. Seven hundred thousand words later, it’s now January 2008 and I’m within two weeks of finishing the final revision of book six, the last book of the series. Once I finally began to write, the words seemed to gush out of me — almost as if I were channeling. And what a joy it was. I have to admit that there were many times in my life when I never thought this series would be written. And here I was, writing it. I’ll always be able to look myself in the mirror and know that I gave it my best shot. Bhayatupa heaved against the chains like a mountain trying to tear itself from the ground. But the more the great dragon struggled, the tighter the restraints became. Watching all this, Laylah became convinced that she was doomed. Vedana had been lying the entire time. Nothing could free her from this nightmare. But just then, the most peculiar thing occurred. Invictus, always in command, always in control, let out a yelp, and his magically amplified voice leapt across the valley, suddenly high-pitched and frightened. All eyes looked toward the sky. A shadow had emerged over the western edge of the round yellow orb. Few would have noticed this unusual event — at least at this early stage — if the sorcerer had not reacted so intensely. To Laylah’s surprise, her brother turned and fled through a doorway into the tower, trailing fire and smoke. The momentary silence that followed was as profound as death — then came hysteria, as if acid were raining from the skies. But above the tumult thundered an even greater sound — an enraged growl that swept over the valley like a tidal wave. Snap. Snap! SNAP! One by one, the chains that held Bhayatupa fell away. Book One is a quick and easy read, a sort of rollercoaster ride that is purposefully sparse and sketchy. Book Two slows down the pace and takes on a more traditional fantasy feel. Moon Goddess is my second favorite of the six books. In my opinion, only Book Five (Sun God) is better. Almost every scene and character in Book Two has been with me — in my mind, at least — for more than two decades. So actually writing the book was cathartic, to say the least. I wrote Moon Goddess (and all but Book Six, actually) in a house located in the foothills of the Blue Ridge mountains. Our house was surrounded by twenty wooded acres, and a window in front of my desk in our downstairs office looked out into a beautiful forest of pines and hardwoods. To be honest, though, I did most of my work at night, so I couldn’t see the forest as I wrote. But I could hear it and smell it, which was every bit as good. Those were wonderful, peaceful, private moments — just me and the words and the trees outside my window. At the camp that night, Sister Tathagata felt strangely lightheaded — and she had never been so thirsty in her life. Though none of the ordinary Tugars dared chastise her, Tāseti found the courage to complain about her excessive consumption of water. But the High Nun couldn’t stop herself. The evening after they left the haven, her mouth had become constantly dry, more so even than the exertions of the journey should have demanded. She became concerned that she was coming down with a fever, which would make the march to Anna far more difficult. She found a quiet place on the rim of the camp and tried to meditate. Normally she would be able to view her discomforts with detached concentration, watching them rise and fall in wave upon wave of impermanence. But this thirst was different. When she watched her breath, it only made it worse. She found herself literally sneaking behind Tāseti’s back to drink. She noticed several others doing the same, their normally placid faces flushed and agitated. Did she look that way too? Sister Tathagata, the Perfect One? This was the kind of behavior for which she had lectured others. Never before had she felt so out of control. The Tugars fed them bread, dates, and berries. She ate mindfully but did not enjoy the small meal. She would have preferred the stew with the sardines. This time, she would have eaten the fish along with the broth. After feeding the monks and nuns, Tāseti, Rati, and the desert warriors had roasted a bighorn sheep they had brought down earlier that day with a bead from a sling. The warriors were tearing into it with gusto, relishing the greasy meat and washing it down with Tugarian wine. The High Nun stood silently off to the side and watched, her mouth watering. She almost felt like she could take a bite herself, an especially juicy bite — and she hadn’t eaten the flesh of an animal since she was a child almost three thousand years ago. To somehow quench her newfound desires, she snuck over to the water-skins and drank until her stomach bloated. Then she staggered to her tent and slept. The nuns by her side smelled tasty — like delicious raw meat. By the time I started Eve of War, I really had hit my stride. In preparation for writing The Death Wizard Chronicles, I read more than 50 nonfiction books — everything from medieval weapons and armor to Horses for Dummies — and the research really paid off in Book Three. I’m not quite in George R.R. Martin’s league, but my authenticity quotient is pretty darn good, and Eve of War is where it really begins to show. One of my favorite scenes in this book involves a harrowing journey by canoe down a whitewater river. Much of the description of my fictional river is based on the real-life Chattooga River (think Deliverance), which flows through the foothills of the Appalachian Mountains and which is world famous for whitewater rafting. I went down a stretch of the Chattooga once myself — and adored every moment of it. Those thrilling memories played a large role in the scene. 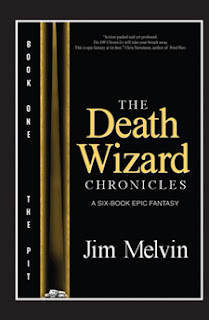 Books: The Death Wizard Chronicles, a six-book epic fantasy. Book One is entitled The Pit and was available on rainbooks.com and amazon.com in September 2007. Book Two (Moon Goddess) was available in October 2007. Book Three (Eve of War) was available in November 2007. Book Four (World on Fire) will be available in mid-January 2008. Book Five (Sun God), February 2008. 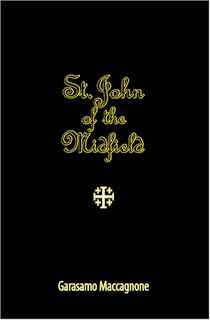 Book Six (Death-Know), March 2008. Bio: Jim Melvin, 50, was born in Poughkeepsie, N.Y., but spent more than forty years of his life in St. Petersburg, Fla. He now lives in Clemson, S.C. Jim graduated from the University of South Florida (Tampa) with a B.A. in Journalism in 1979. He was an award-winning journalist at the St. Petersburg Times for twenty-five years and retired in 2004 to become a full-time novelist. At the Times, he specialized in science, nature, health and fitness, and he wrote about everything from childhood drowning to erupting volcanoes. But he spent the majority of his career as a designer, editor, and supervisor. Jim is a student of Eastern philosophy and mindfulness meditation, both of which he weaves extensively into his work. Meditation helps to clear his mind for long bouts of writing. Jim is married and has five daughters. 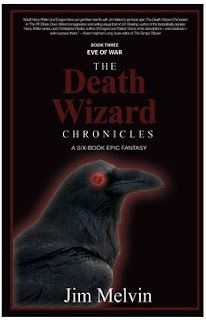 The Death Wizard Chronicles, a six-book epic fantasy series, marks his debut as a novelist. Strong-willed, spirited, intense--no matter what term you use to describe the behavior, dealing with a child who seeks to control every aspect of his life can leave you feeling angry, physically drained, and like a failure. 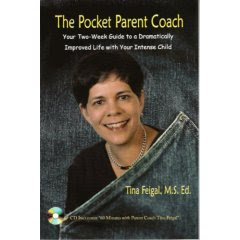 The Pocket Parent Coach: Your Two-Week Guide to a Dramatically Improved Life with Your Intense Child by Tina Feigal can help. This short and easy to read book helps parents to understand where intense behavior comes from, what triggers to avoid, and brings you through a program that could improve life for every member of your household. Full of exercises, places to chart your progress, a variety of charts and forms to use with the program, and additional resources, The Pocket Parent Coach provides everything you need to start Present Moment Parenting in your home. I'll admit to being selfish when I asked to review this title. I have my own intense child and I am ready to do just about anything to bring peace to our home. I had tried 1-2-3 Magic for a short time, but couldn't stay committed to it. I also found the way the book was written to be condescending. But that isn't the case with The Pocket Parent Coach. Tina Feigal approaches the subject of dealing with an intense child with compassion for everyone. By helping parents understand why an intense child acts the way she does, they are already 50% better off than they were before reading The Pocket Parent Coach. I especially enjoyed the format of this book. Feigal starts with taking you through two weeks of how to begin implementing Present Moment Parenting in your home one day at a time; and then moves onto how to continue past the first two weeks, how to troubleshoot real life challenges, and discusses using restorative justice with Present Moment Parenting. The accompanying CD--60 Minutes with Parent Coach Tina Fiegal--is the perfect compliment to the book, showing how Feigal helps one mother to create a success story in her household by using Present Moment Parenting. The Pocket Parent Coach by Tina Feigal, is a parenting resource that could help you get beyond the anger, the tears, and the feelings of failure, to create a loving environment for everyone in your home...without demanding that your intense child change who he was destined to be. Author: Tina Feigal, M.S. Ed. Welcome to The Book Connection, Judy. It is a rare treat to have you here. Thank you! I’m glad to be here. Before we get into Bad Girls Club, why don’t you tell our readers a bit about yourself. How long have you been writing? Do you focus on certain genres? What things other than writing do you enjoy? I’ve written on and off for about 32 years now. I tend to stick with coming of age stories but I am very interested in humor and would like to tackle that some day. Besides writing, I really enjoy marketing and promotion, which is a good thing because you really need to do a lot of that when you have a book out. You were a child model. Is there anything about that time in your life you would be willing to share? It was an interesting time. Our modeling agent would call at ten at night and tell us to be in New York City the next morning at seven. So, we’d scramble to get there to do a photo shoot. I didn’t like modeling at all; I found it exhausting and boring. Mostly you just sit there for hours on end while they take pictures, move you around a little bit, tell you to smile, and then take some more pictures. What I did like was the advertising world. I found the whole concept very interesting and eventually went into advertising myself. You’ve recently returned to school, plus have several other ongoing projects. How do you juggle it all? Like a crazy woman. I took on some freelance public relations and marketing work recently and it’s become an ongoing project. In between that, I sandwich in my own marketing and I do my college work. It’s kind of like a dance, but some days are very frantic and I want to run away and hide. I slip in some writing now and then. Let’s talk about Bad Girls Club. What is this story about? This is the story of a teen living with her mentally ill mother, her abused little sister, and her ineffective and totally clueless dad. The main character, Destiny, has become the mother of the family. She cares for and protects her little sister and she does her best to help her mother “get well”. She takes care of the house and she is determined that she isn’t leaving the house until everything is right again. I used the term “parentification” in my introduction. I had never heard that term before reading your book. Can you tell us what it means and how it relates to Bad Girls Club? Parentification is when a child takes on the role of the parent and the parent takes on the role of the child. You see it in families with alcoholic, mentally ill, or drug abusing/using parents. Usually the child who does this role switch is strong, independent, and smart. They see the need for someone to step up and take care of things, so they do it. Sometimes they take care of the younger (or older) siblings as well. Basically, it robs a child of their childhood because they have the responsibility of these family members and their problems. I was a parentified child. I grew up thinking it was my responsibility to take care of everyone and to fix every problem. I cooked, cleaned the house, did laundry, and helped my older sister cope with what was happening at home. I tried to “save” my mother, but I wasn’t able. I’ll be very honest, I have never be so interested in and horrified by a book as I was with this novel. How were you able to write it without becoming emotionally overwhelmed? I’m sorry you were so horrified. It wasn’t what I was going for, but I understand that people who have never seen the effects of parentification might be totally horrified at how children are destroyed in homes like this. I didn’t find it overwhelming to write at all, because I knew the emotions and they weren’t horrifying to me. I was used to them. I lived with them all my life. They were like familiar friends, although that might horrify you. I used to think that a devastating natural disaster in which I lost everything would never come close to what I experienced as a kid and that I’d be prepared because I had already lost everything by the time I was eighteen. That may sound very odd, but when you’ve been traumatized the way I was as a kid, there is not much else in life that is any worse. I’ve had many interesting ups and downs as an adult, but nothing compares to the horror of my childhood. I will say this though…as I was writing this, I really came to understand what an awful childhood I had. Or I should say that I saw it in a new light. When you give a main character a lot of your own feelings and look at it through their eyes, you see it in new ways. Looking at it from the outside was indeed an interesting perspective. In the book, Destiny refers to the incident at Crater Lake, but it takes a while for the reader to get the full details about what happened there. How did you know which details to add into the story at which points to build the right amount of suspense for the reader? Oh boy, that’s a tough one. After a while, you get a feel for tension and suspense in a story. You start to “know” when something is working or is not working. It took me almost 5 years of writing to reach that point. Once I did, I learned to go on my gut. I used myself as a test case. Did I find the tension rising? Was I getting knots in my stomach as I read it? One reviewer called the revelation at Crater Lake a perfect strip tease. That’s what I was going for. I wanted that thread of the story to be a dance and a teaser that comes at just the right moment and then leaves just soon enough to keep you dangling. You’ve gotten a lot of great reviews and endorsements for Bad Girls Club from medical and educational professionals. Can you share what these people are saying about your novel? All those reviews are on my website at http://www.judygregerson.com, but basically what they’re saying is this: if you work with at-risk kids on any level, you must read this. This book fully explains the cycle of abuse and it’s one that all young adults should read. It should be added to the middle and high school curriculums in schools. I’ve been told that it’s a huge contribution to the young adult literary world, that every library should buy multiple copies, and the one thing I hear over and over again is that people have never read a book like this. The one thing they say is that the world seems so familiar even though they’ve never been in a world like that before. I think it’s because I tried to give my characters universal emotions. We have all suffered some kind of loss, some kind of trauma. It’s only a matter of degrees. I tried on hit on what is common to all people in terms of the emotions my characters felt. I just heightened them for the story, if that makes sense. This sounds like a perfect story for book club discussions. Have you approached various groups to read it? What has the response been? I have one book club reading it right now. I did promote it to book clubs when it first came out, but I don’t know how many are reading it. I do have discussion questions and also a teacher’s guide for the book, both available on my website. Where can readers purchase a copy of Bad Girls Club? Barnes and Noble and Borders have picked it up nationally, so it’s in those stores. There’s always the independent booksellers. If they don’t have it, they can order it. And, of course, Amazon. It has sold very well on Amazon and held on 7 bestseller lists for three months. I have one book about an underdog that I’m shopping around. I’m working on another book about a girl who is left in a parking lot by her mother when she’s ten. (Notice the consistent theme in my writing?) But I’ve been very busy with college, so writing is on hold for a while. I just want to say that Bad Girls Club is a book that speaks to anyone who has dealt with a family member who is mentally ill, alcoholic, or a drug abuser. I’ve had emails from teens and adults, so it’s crossing from YA to adult very nicely. Also, I wanted to say that it’s very important to me that young people don’t suffer like I did when I was a kid. I wrote this book to put a spotlight on parentification, to identify it, bring it out of the closet, and help kids find the light. There are resources on my website at http://www.judygregerson.com. I keep a blog on parentification at http://www.imdumbfounded.blogspot.com. I’m looking to speak to groups who are interested in this subject and I’m also doing school visits, but that is really talking about being an author and about writing books. I’m finishing up my degree in human development so I can work with kids. But my true love is speaking, so I would like to speak more and more about this problem and how kids can be helped. Thank you so much for taking time out of your busy schedule to talk to us today, Judy. You’ve written a powerful story that I would highly recommend to anyone I know. I wish you continued success in all you do. To order Bad Girls Club directly from Amazon.com, just click on the title of this post. Joining us today is Amanda Young, the author of Silent Prisoner which is based on a true story of how faith in God and the angels helped one woman survive childhood abuse, and later, domestic violence. Jeffrey Davis, M.D. called Silent Prisoner, “an illuminating, touching, and inspirational story.” Let’s hear more about this powerful story from the author herself. Welcome to The Book Connection, Amanda. It’s wonderful to have you with us. Before we talk about Silent Prisoner, can you tell us a bit about yourself? When did you begin writing? What inspires you to put pen to paper? What do you like to do in your spare time? I began writing in 2000 when a dream of a young girl that looked sick to me would not go away. Over and over I would have the same dream. I saw a little girl talking to me. I could not remember what she was saying to me or most of what the dream was about. But she would walk with me and I listened as she talked. I do remember how she held my hand as we walked. I am a nurse and mostly have worked with hospice patients and the elderly, but thought that maybe I would care for this young girl one day. I did not know what else to think. I thought, too, that maybe if I put the dream on paper it would go away as I had the image of her face for days after the dreams in my mind. As soon as I began to write of the dream on an old envelope, I found I continued to write on another envelope. When I had to get a larger envelope, even more words flowed. Then I found a bent and torn plain sheet of paper and more words flowed from somewhere. I tried to put the words together from the wrinkled envelopes and torn paper and then decided to sit in front of a computer and type in the words. This began my writing. Really. Over and over drafts went through of the little girl I named Megan. The name Megan means, mighty one. The title of the book is ‘Megan’s Unicorn.’ It has been edited and put into print again this year. I did print on demand with Booksurge.com. When I finished the first three or four drafts of the little girl named Megan, I began having dreams of a little fairy that I gave the name to or she gave me the name in a dream, Tessa. There are two Tessa Books in print, also redone with Booksurge.com. I've said many times over that I have no idea why or who began the dreams and desire for me to write. I tried very hard to go on a different path. But I suppose it was meant for me to follow this path. I will follow the best I can and hope my words will help those who read them. What do I do in my spare time? Believe it or not--write. And I cannot believe I wrote that, but it is true. In the past year or I am more relaxed about letting the words flow and now I am the most relaxed when I write. Unfortunately, I am the most stressed, too, as I tend to be a bit critical of my words. I am moving to Florida soon, as I have a strong desire to sit on the beach and look out over the water. I visited friends recently and walked on the beach and I have to move there to have time to sit and look out over the water and watch the sunrise. When I was there I could close my eyes and while sitting there images came to mind that I want to put on paper. I can’t make out the images clearly but when I sit down the words will flow. Or so I hope. A writer’s fear I suppose, is the words will not flow. And I know now, they do not flow on command. Prayers do seem to help. You’re also a registered nurse with a degree in homeopathy. Has your occupation influenced your writing in any way? Some think that the story ‘Megan’s Unicorn’--which is of a five-year-old girl with cancer--was inspired by my years of working as a hospice nurse. I think that it may have, but I let the story tell itself through me. I can tell you that as I was writing it and the sentences were flowing and then all of a sudden one of the main characters is dying, I did not want to put that in. I recall standing up as my fingers were racing over the keys on the first draft and yelling out, “No way! I can’t put that in!” I cannot tell you why but I looked around and thought, I have lost my mind. Who am I yelling at? And besides, I am in control of this. I rewrote the sentences leading up to that event to write of how the character lives...and then...nothing. Not a word went onto paper until I began the story again with the way the flow was going before. And it then flowed swiftly, just as it was meant to be. If I “get in the way” as I call it…nothing. Not a word comes to mind or onto paper. It is like turning off a light. Even with Silent Prisoner I had to let that one flow even though I knew there seemed to be some force or whatever you want to call it helping me to write it. I let the story tell itself. I say a prayer before I begin and let it go. And I can say it is hard for me sometimes to get out of the way and trust. How do you balance two careers and family life? I work privately with some patients, but the writing is taking over more and more. I do less and less of working with terminal patients also. Menopause, I think, has taken care of that career. I cry more than the family now. I am trying to move away from nursing as it has become too much for me with the writing too. I want to put that emotion into the writing. It will work out the way it is suppose to, is how I try to live nowadays. Let’s move on to Silent Prisoner. What can you tell us about this story? It is a true story and I lived it. It is of a journey of a young girl that I named April because I was born in April. All of the names are changed in the story. I did not put dates or cities so I could keep the other names private. I wrote the story so that the reader can follow April’s journey starting when she was about five or six. It begins as she is looking out of the window of an orphanage. She looks out over the gray skies and I now can remember that house. I stood the same way as I write it inthe story, of looking out of the window and I remember thinking, it is always raining. Why is the sky always crying? Those were the words that I now remember when I think of looking out the window of the house of the orphanage. My mother was in the hospital, again, due to a terrible beating from my father. He was in jail, again. April, too, has become a prisoner--or so she believes in her mind--due to the beginning of her life and what she was exposed too. I write more of April’s journey and the reader walks with me on that path. I write of the abuse at the orphanage and foster home. In the foster home, I write of where the old man locked me in a closet and yelled at me on the other side that I was going to be eaten alive by rats. I am to this day claustrophobic. The reader will follow through the abuse I went through in a relative's home. You will see how I was beaten and molested by one, and yet, shown by my aunt to believe in God. My aunt died and I was still beaten and abused by the rest of the family. My loving aunt was gone, but her memory remained in my heart and still does to this day. Her presence in my life is what changed me to try and to do good deeds and to always believe in God and the angels. I write of April when she grows up. I map my life so the reader can see how life can repeat again if you're not careful and aware. I later married a man that beat and abused me. I have been in abusive relationships, and even with female friends who have been abusive in their own way. I wrote this story to show how a pattern developed. It is my hope that young girls will read this and learn. My faith that I have clung to has given me that desire to help others. My faith is the one and only one thing that got me out. I write of it in the book and I remember it clearly. Words came to my mind one morning when my abusive husband left for work and the words in my mind were, “Get out and get out now!” And I did. That was my faith talking to me. I believe in awareness and prevention and I hope and pray that my book will provide that. What type of research did you have to perform for this novel? What is it about April that readers will relate to? Why will they care what happens to her? To know that if we believe in ourselves and hold onto our faith in ourselves and to a power greater than ourselves that can help us, if only we ask. That we can go on to another day if we have hope and faith in our hearts. I have lived through many things that others have lived through. I do not feel that I am different than anyone else that has lived. And if I survive and thrive then I am showing them that they can too. I watch others on television who have lost and suffered and I feel their sorrow. I want them to be fine again, and I believe that everyone wants to believe that of each other. My faith gives me that, and I believe that is what we all have inside of us. Who are some of the important people April meets along her journey? Her Aunt Mary, who April believed was an angel walking on the earth. Rose who teaches her to believe in angels and faith. Her grandmother who teaches her to always be good and kind. Her grandfather that shows her how laughter is so important in life. And a therapist that tries to teach her to tell them how you feel. And of a turtle that I watched crawl ever so slowly but persistently to a lake. I was amazed that it did not see the lake and I wanted to pick it up and take it there, but watched it instead. It almost fell over more than once and I still followed and watched it slowly continue on. It did make it to the lake finally. I want to have the faith of that turtle, I guess you could say. There are more, but these stand out the most. Is there any one event or thing in April’s journey that will stick out to readers in a good or bad way? Her undying faith. I can tell you that if people could feel what I feel so many times when I pray, then they would not doubt that there is a wonderful and loving presence that does exist. I hope they feel that in the story and take that into their hearts. You also designed the cover art for Silent Prisoner. How long have you been an artist? What do you enjoy most about this creative outlet? “You will not be painting or drawing straight lines,” I heard the words in my head reply. So I bought paints and charcoals on those words. I paint or draw when I have time and it helps me relax. Some of my art is now hanging in offices and homes and that gives me a good feeling. You’ve already done a great deal to promote Silent Prisoner. Can you share with our readers some of the things you’ve done to get your name and book noticed? I use Booksurge.com. They have a lot of great ideas and opportunities to offer. I would suggest to anyone that is thinking of going the route of print on demand to use Booksure.com. I also just went onto the web and searched everywhere that I thought the book Silent Prisoner may fit. I sent copies of books to several places. I handed a copy to the girl at the coffee shop. I had told her of the story and she was so wide-eyed I gave her a copy. I believe in word of mouth. I gave a copy to my hairdresser and he loved the book and has passed it on. Booksurge.com has great marketing tools. I had business cards made up along with bookmarkers that have the cover art and back book description on it to hand out. I had a press release written by them. I contacted a Dr. Davis that I have known for twenty years to read the book. He knew me, but not of my personal life. He read it and wrote the comment in the press release. He said to me, “in a word I would call the book, spellbinding.” I liked that word. I pass that comment on to others too. I use the Internet. Pump Up Your Book Promotion is doing a wonderful job for me. I am very pleased and it takes time and work to stay on it. That is why I am glad to have Booksurge.com and Pump Up Your Book Promotion to help me out. 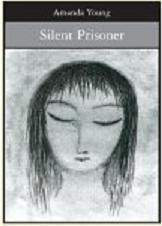 Where can readers purchase a copy of Silent Prisoner? Amazon.com and Booksurge.com, as they are not in bookstores. Yet. What is up next for you? Are there future projects you would like to talk about? ‘Life’s Journey Home’ will be in print in next few months. It is fictional. It is of an adolescent boy named Michael that is stranded on a deserted island. Or that he thinks is deserted. He meets up with mythical gods, talking trees and much more. He must stay on the right path to find his destiny. Also, he desperately wants to find a way to help save his mother that has lost her soul to an evil and dark potion. Can his love help her recover her soul? My father did sober up before he died. My mother never did. I suppose that story I could say is about my desire that I wished that I could have saved my mother from her addiction and she could have held me, just as Michael wants his mother to be there for him and hold him. I try to do as my mentors that I talk of in the book tried to teach me. I try to be a good person. I love to laugh, more and more. I like myself more these days and as I have to spend so much time with myself, that is a good thing. As painful as it has been to write Silent Prisoner and also Life’s Journey Home, I am a better person for writing them. Actually all of these stories, because Megan’s Unicorn talks of the dysfunctional family that has to heal and come together. Thank you for spending time with us today, Amanda. It sounds like you’ve written a powerful and inspirational story; I can’t wait to read it. Best of luck! 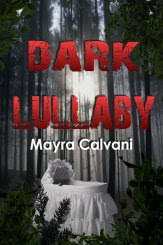 Dark, exotic, and filled with chilling twists and turns, Dark Lullaby by Marya Calvani is horror story that grabs you right away and doesn't release its grip until the final word is read. Astrophysicist Gabriel Diaz believes in the higher good and that everything can be explained by science and logic. One night in a tavern, a mysterious and intriguing woman captivates his body and soul. After spending the next several days with the mysterious Kamilah, Gabriel is convinced to join her in Turkey to visit her family's cottage, even though he can't push away the nightmares of his sister Elena's unborn child. Plagued by a strange illness that leaves him weakened and sore, Gabriel begins to wonder who or what Kamilah really is. With the help of a village merchant and a one-eyed witch, Gabriel makes a startling discovery, calling into question all he believes in and forcing him to come to terms with his past so he can save Elena's baby. Equally scary and beautiful, Mayra Calvani has drawn the beauty of Turkey into a chilling paranormal tale unlike any I've ever read. The descriptions throughout this book were stunning. I walked along the hike up a Turkish mountainside, lived inside Gabriel's head during his disturbing dreams, and stood beside him as he looked into the strangely carved trees in the forest leading up to Kamilah's cottage. A master storyteller, Calvani hooked me from the first moment in the tavern to the very last page. This is truly a unique story that I look forward to reading again. Dark Lullaby will capture you with its rich descriptions, its exotic location, and the need to uncover the dark secrets hidden within its pages. A novel of forbidden love, fanatical beliefs, and forgiveness, September Dawn by Carole Whang Schutter is a story that will stay with you long after you've read the last page. Two nineteen-year-olds brought up with very different sets of beliefs fall in love, and nothing--not religion, not their families, not threat of danger--can keep them apart. Fifty years after the Mountain Meadows Massacre, the present day family sits down to retell the love story of Jonathan Samuelson and Emily Hudson. Jonathan is the son of a Mormon bishop, and Emily, the daughter of a Christian pastor. They are drawn together from the moment they meet, but suspicious and vengeful church leaders lead a massacre that forever separates the two lovers, and somewhere in the distant future, someone must learn to forgive what happened on that fatal day in September. Traveling through different periods of time was the most challenging part of reading September Dawn. The story begins fifty years after the date of the Mountain Meadows Massacre, but quickly goes back to two weeks before the massacre occurred to show the reader how the people of the wagon train met up with the Mormons in Utah. The story continues to travel through time, going back and forth between present day and the two weeks the wagon train remained Utah, and moving further back in time to earlier dates important in Mormon Church history to provide the reader with a well-rounded idea of how the Church was formed and what led to the Mormons' distrust of the Gentiles. With all this backstory, it is easy to lose the true focus of the novel--which is the unfolding relationship between Jonathan and Emily. I believe this format is much better suited to the film version of this story where the visual aspect of events can help keep the viewer involved. Once the backstory was out of the way, September Dawn engaged me so deeply that I never wished to put it down. And the ending was so moving and unexpected, that I couldn't help but cry. Overall, this is an excellent read. As a lover of history, I enjoyed getting that full picture of what led up to the Mountain Meadows Massacre, but the parts I enjoyed most dealt with Jonathan and Emily's fierce love for one another that survived many years after the horrible events that separated them. With September Dawn Carole Whang Schutter brings you a love story that surpasses all odds and touches upon the power of forgiveness. 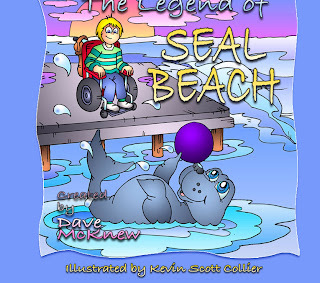 The Legend of Seal Beach created by Dave McKnew is a wonderful and touching story for children that will teach them about friendship, self-sacrifice, and love. Based upon a story that Dave's father, Tom, told him around the dinner table one night, The Legend of Seal Beach is about a physically challenged boy named Tommy, who befriends a seal living in the ocean abutting the small coastal town where Tommy lives. He names the seal, Stanley, and they spend their afternoons together playing ball. When Tommy is accosted on the pier by three bullies, Stanley comes to his rescue, changing Tommy and his life forever. I read The Legend of Seal Beach with my daughters--ages 4 and 6--and they loved this book. The story will touch your heart and leave a tear in your eye. The illustrations are eye-catching and vibrant, causing much discussion during the reading of the book with little ones. And Stanley's rescue of Tommy is something my girls still speak about. A heartwarming story your children will want to read again and again, The Legend of Seal Beach teaches and entertains. Story by: Thomas McKnew Jr. Gritty, tough, and full of suspense The Last Jew Standing by Michael Simon is a sure winner for crime fiction fans. This fourth installment of Simon's Detective Dan Reles series finds Dan with a new home, a new wife, a son, and far removed from the life he once had in New York. But there is no way that Dan will ever escape his past...especially when it shows up on his doorstep. Dan's father, Abe has been on the run from the Mafia for twenty-five years, and when he shows up at Dan's new house with a Russian prostitute on his arm, Dan--who still blames his father for his mother abandoning them--can't imagine what he wants. But he knows it isn't good. When a former employee of Mafia boss, Sam Zelig turns up dead, Dan is even more concerned about his father's arrival in Austin. And when Sam Zelig and his goons make it personal, Dan is forced to make some tough decisions...never knowing if he's right or wrong. Michael Simon gets the award for drawing me into a book with the very first sentence. Late nights, skipped meals, and falling into bed with my clothes on were all well worth it, just to read a bit more of this oustanding novel. The danger, the suspense, the raw hatred and violence that poured forth from this crime thriller, leaves the reader clamoring for Simon's next book. The Last Jew Standing is one of the best examples I've read of pushing a character so far into desperation that even the reader can't guess what he'll do next. If all of Michael Simon's books are as thrilling and intense as this one, Simon has just gained a life-long fan. More than just a collection of stories celebrating Jewish traditions. More than the personal reflections of a woman seeking to fill a void. Delight is a journey to enlightenment that you'll never forget. In this book by Positive Psychologist Dr. Barbara Becker Holstein, women can find a way to celebrate life in a meaningful way. Holstein takes readers along on a journey from her lack of involvement in the Jewish faith to her complete commitment as a member of the Judaic tribe, sharing with readers the delight she discovered in the revelation that we are all connected. And at the end of a story, Holstein draws readers into her discovery by providing them musings, ponderings, and reflections on how they, too, can discover delight. When I read the back cover of this book I immediately grew concerned. What did a book about Jewish traditions have to do with me? Could a woman with little knowledge of Judaism and its traditions relate to any experience within its pages? Delight had everything to do with me. And yes, I could relate--totally. Dr. Holstein speaks with candor about what set her upon this journey, her fears, her insecurities, and how these experiences helped her to understand about the connection we have to each other. The ponderings, musings, and reflections after these stories allow the reader to fully grasp the message being relayed and provide an opportunity for her to practice learning how to find delight. If you are seeking a way to find joy like you've never known, you must read Delight. It will help nourish your mind, body, and spirit in ways you might not expect. True crime author Dennis Griffin now has his own Internet Radio Show on Blog Talk Radio. So, you wanna write a book? is a question and answer show geared toward helping new writers. This show features guest authors who will share their experiences about writing, marketing, and promotion. The show's URL is http://www.blogtalkradio.com/dennisngriffin and the show airs at 11 a.m. Pacific. Archives of this show will also be available. We are starting off the month of January with an amazing screenwriter and author who has traveled a unique journey to success. 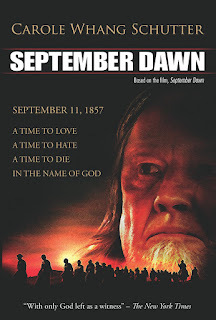 Carole Schutter wrote the screenplay for September Dawn--a Romeo and Juliet type romance which takes place during the events leading up to the Mountain Meadows Massacre in 1857. The movie stars Jon Voight, Trent Ford, and Tamara Hope; and one of my favorite actors, Dean Cain, played the part of Joseph Smith. The DVD is due to be released this month and Carole wrote a book based upon the movie, also titled September Dawn, which she is promoting during her month-long virtual book tour. Welcome to The Book Connection, Carole. I’m honored to have you with us. Before we get to September Dawn, can you tell us a bit about yourself? How long have you been writing? Do you concentrate on a particular genre? Has a particular person or event influenced your writing in any way? Thank you. I’ve been writing since I was five. I always wanted to be a writer, but life got in the way. I’ve always been fascinated by history. I almost majored in it. I like historical fiction and romance is always a part of my writing. I also tend to put females in the lead. Not in September Dawn, but it was the idea of a girl going to the California Gold Rush that was my original idea for the movie/book. I love historical writers like James Michener, James Clavell, and Ken Follett. You’re not shy about sharing your faith in God. How well received is that in the entertainment industry? Did your faith create obstacles in getting your screenplay accepted or the movie promoted? There has been more openness to movies with Christian content because of The Passion of Christ. However, the window could close just as fast if movies perceived as Christian don’t do well. I was talking to someone in marketing who has promoted many movies. Generally, the movie world is very disappointed with Christian oriented movies because they feel that unlike the Passion, the large Christian groups they approach are either unsupportive or back pedal after expressing their support. Unless this changes, you will find the doors closing to more Christian based movies. Movies have to make money or they won’t get made. That is why children’s movies, horror movies, and action flicks are way up there. Tell us about September Dawn. Where did the idea for this movie and book come from? I believe it came from God. I was driving in Colorado when this random idea about a pioneer woman on her way to the California Gold Rush when Mormons dressed as Indians ambushed the wagon train. Imagine my surprise when I began researching wagon trails and found the story of the Mountain Meadows Massacre. I couldn’t believe that a history buff like me had never heard of it. What type of research did you perform to write the screenplay? Two years, thousands of pages on the Internet, almost 50 different resources, books, newspapers, depositions, congressional records, etc. How much influence did you have in the production of the movie, if any? I only acted in a supportive role helping mainly with miscellaneous historical aspects of the film. Is the book very different from the movie? Since the book was written after the movie, the answer is no. However, the book is more in depth. Tell us more about Jonathan Samuelson and Emily Hudson. Why will readers care about them? What is it about this young couple that will make readers want them to be together? Jonathan and Emily are two young people that have had life experiences that have made them think outside the box. In their own way, for that day and age, they are rebels. Jonathan is a romantic, haunted by his mother’s fate. But he also is a free thinker like Emily. Both young people do not accept ideas just because they were told things should be a certain way. They question, guided by their humanity and their spirit. They think, they feel, and they are passionate human beings with a moral compass. Although they come from different worlds and have different experiences, they are suited to each other because of these characteristics. Their passion and innate goodness, their spirit and sweetness, will make the reader eager for them to be with each other forever. With historical fiction, the challenge seems to be how to combine a fictional story into actual events. How did you meet this challenge? What was most difficult about this process? It actually wasn’t very difficult. My writing flows best when I am connected to God’s Spirit. Sometimes it almost feels like automatic writing. The most difficult thing for me is to remain subjective. I become emotionally involved with my characters and I don’t want to “kill” them. Now that we have a feel for September Dawn, can you tell us where readers can purchase a copy of the book? Amazon, Authorhouse, Barnes and Noble, Booksamillion, cdgospel.com, most book websites. It is also available at Borders and Walden Book stores. What is up next for you? Are there new projects you wish to share with our readers? I have optioned a romantic family movie about a real historical character. She is a wonderful character and I write about her as a young girl and teenager. She is Granuaile O’Malley, otherwise known as the pirate queen of Ireland. She is my Pirate Princess. We hope to begin production sometime next year. I am also redoing a historical family saga I started years ago called “The Ohana,” which means family in Hawaii. It covers three generations of three immigrant families to Hawaii. A Korean family, a Japanese family, and an Irish family. It is the story of how their lives merge against the backdrop of Hawaiian history, the Great Depression, World War II and the Vietnam War. Quite a project. I am also working on other screenplays. One is directly from the Bible. I will be collaborating with another writer on the books created from the screenplays as I need the help! I have too many projects. September Dawn has not received the attention it should have. It is a good movie, our first reviews from the “big” magazine and newspaper critics were, as the marketing director said, “the kind of reviews everyone dreams of having.” Criticism of our being historically incorrect and ham fisted were interesting. What took us two years of intense study, reviewers were experts on immediately. Unfortunately, massacres are ham-fisted acts, and it was a blot on our history. But we only learn from history by knowing the truth. The truth, the Bible says, will set us free. Thank you for joining us today, Carole. I’m glad we got to hear more about September Dawn. Good luck with the book and the DVD release. I wish you continued success. Readers, if you click on the title of this post you'll be directed to September Dawn's Amazon.com page where you can purchase a copy of this historical romance novel. Thank you to everyone who made The Book Connection such a huge success in 2007! Keep checking back for more great interviews with many of today's most talented authors and book reviews to give you some hints on what you might want to pick up next.